The Spring 2018 advising period began today and runs through Friday, Nov. 10 (though if you can't see all of your advisees by Nov. 10, it's okay as long as they meet with you and obtain your permission to register before their first online registration time). Registration will be Monday, Nov. 13 - Friday, Nov. 17, and students' online registration times are assigned based on seniority: seniors, Nov. 13-17; juniors, Nov. 14-17; sophomores, Nov. 15-17; and first-years, Nov. 16-17. Maintaining a 12- to 16-credit schedule each semester. Every student must maintain a minimum of 12 credits each semester in order to remain in good academic standing. Taking an average of 15 credits per semester is needed to graduate in eight semesters with the required total of 122 points. It's especially important to work with students who are behind on their yearly credit totals and make certain they make up those credits by adding additional courses in future semesters (see chart below). Taking an appropriate foreign language course (and if they are interested in Study Abroad, making sure their language corresponds with potential Study Abroad sites when applicable). Making sure they are selecting courses that will fulfill requirements - especially Gen Ed requirements (GERs). Whether a course fulfills a GER can be confirmed on the registrar's website. For juniors and seniors, here. For first-years and sophomores, here. Students should not assume that because a course "sounds" like it will fulfill a general ed topic, that it necessarily will. Taking at least one course in a field of interest, to help make an informed choice of major. Taking a course early in a potential major if the major requires longer-range planning and earlier involvement than most (Music, Architecture, Computer Science, Asian and Middle Eastern Cultures, natural sciences, foreign language in some instances). Looking at the breadth and diversity in their selection of courses, making certain it reflects the intent and value of a liberal arts curriculum. Having a balance between large lectures and small discussion classes, courses that stress research papers and those that require examinations. Discouraging enrollment in graduate (4000-level and up) or any advanced courses for which there is no persuasive evidence of adequate preparation. This is especially important to impress upon First Years and Sophomores. 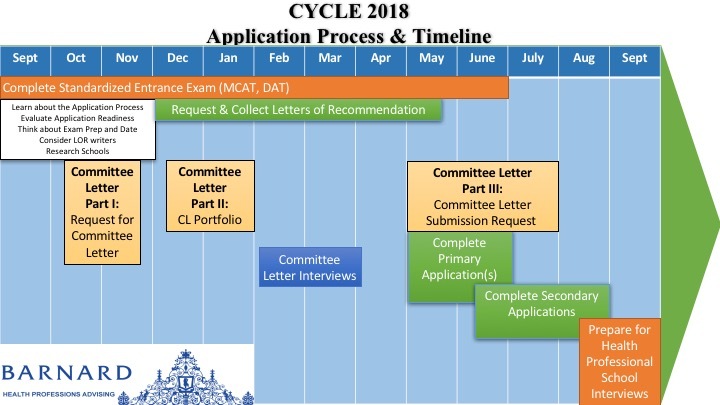 For students interested in applying to medical or dental school this coming summer (for 2019 matriculation), the Cycle 2018 Committee Letter of Evaluation process officially opened last week.